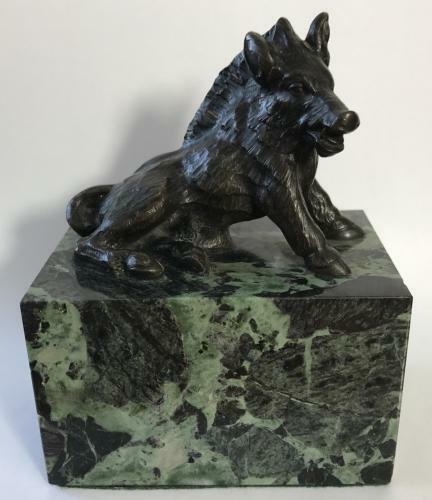 An Italian late 19th century bronze model of the Porcellino wild Boar. On a green marble plinth. In great condition, showing lovely detail.